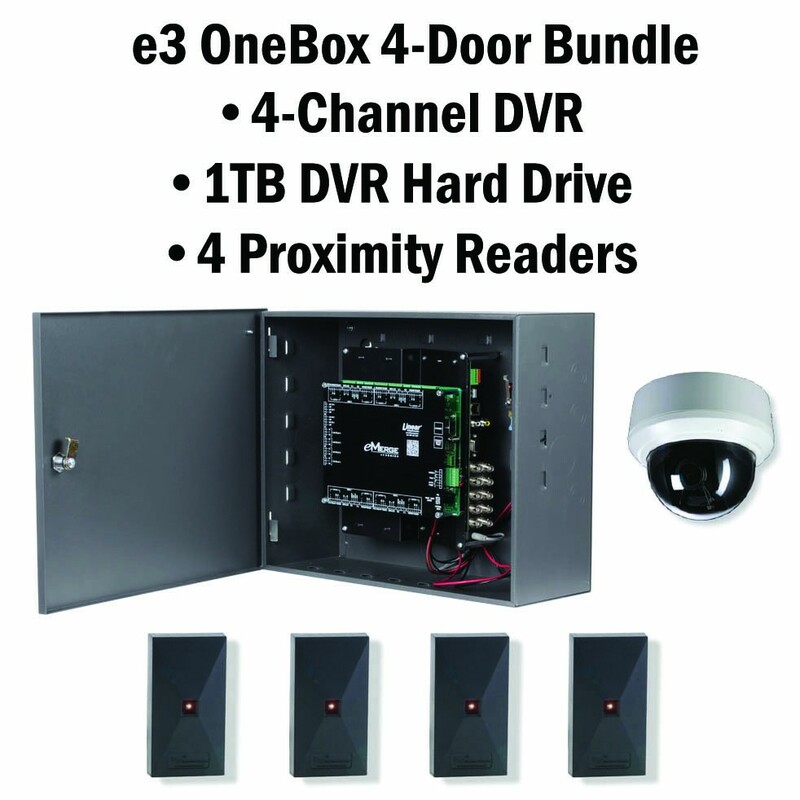 4-door 4-reader e3 OneBox system bundle with 4-channel DVR, includes four P-300HA proximity readers, 1 TB DVR hard drive, up to 1,000 cardholders with up to 8,000 cards, up to 2 readers, browser-based management via embedded Web server, easy setup wizard, and optional PoE power with E3-POE module. 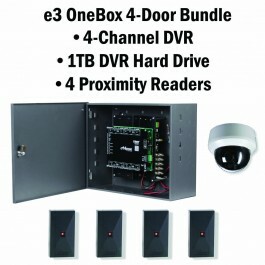 Housed in a locking metal cabinet with integrated tamper switch. 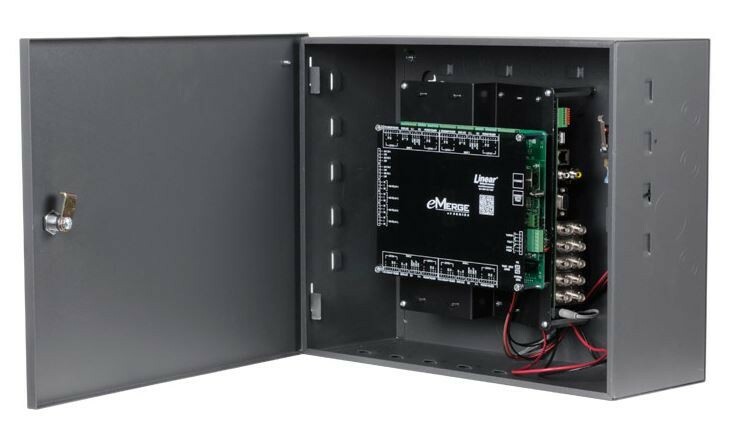 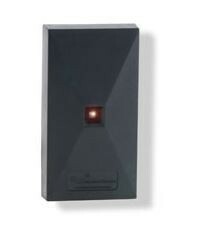 Supports e3 Elite Series features with up to 64 doors and 128 readers when upgraded with License-To-Go™ and additional door modules. 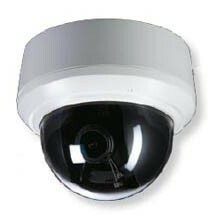 Includes one LV-D4HRW-212 Indoor Dome Camera.